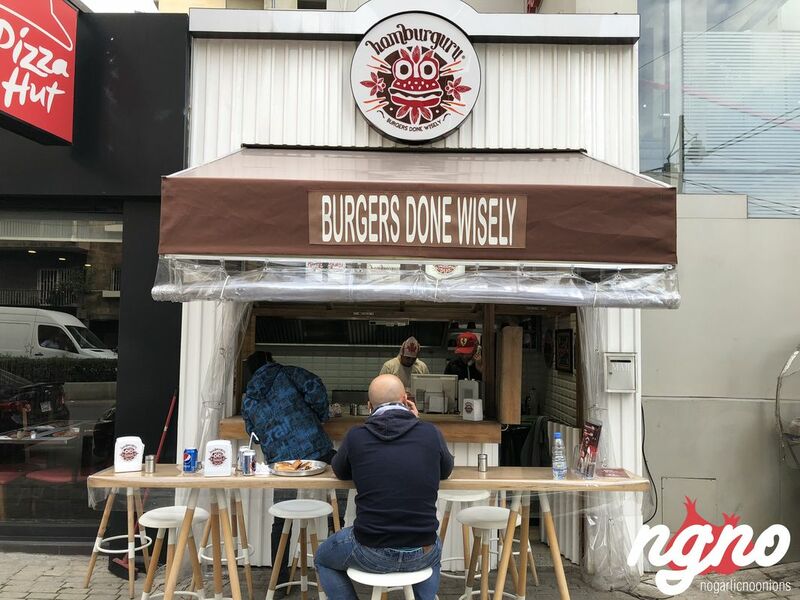 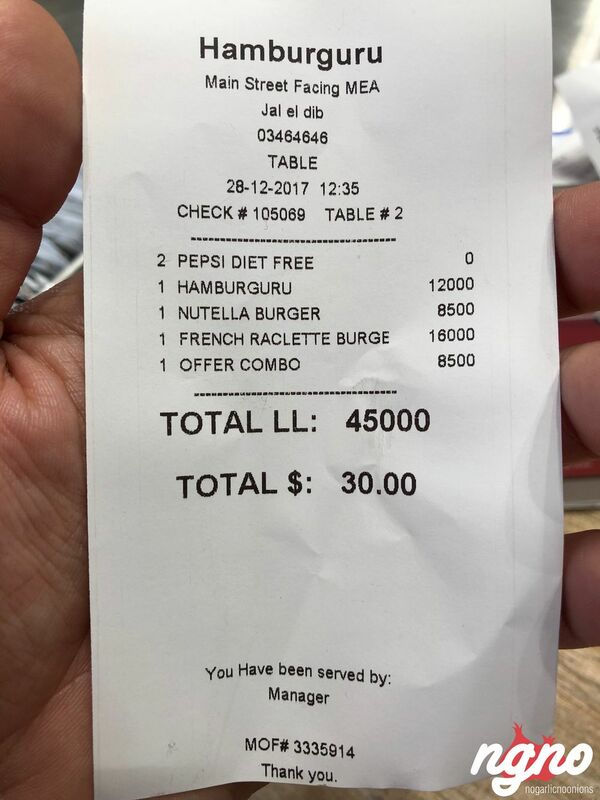 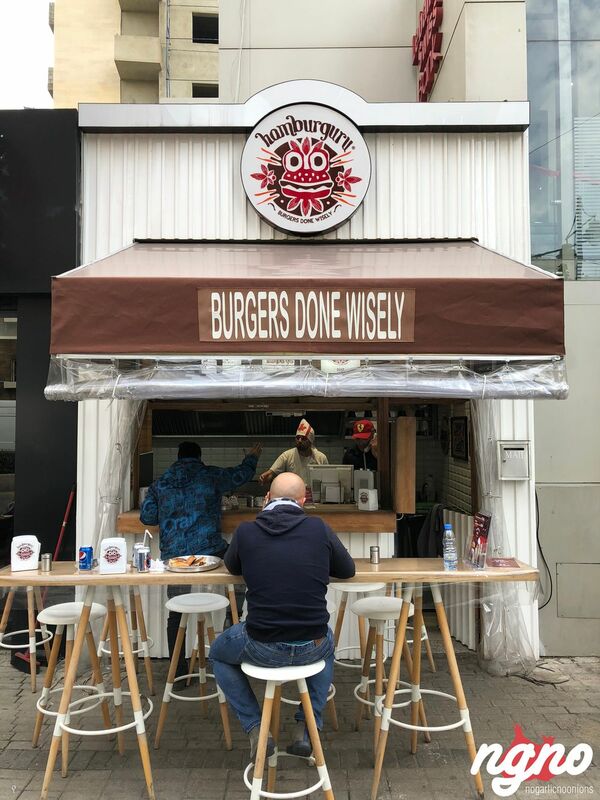 Tiny but mighty, a small hamburger shop has been open for the last five months on the Jal el Dib-Jdeideh internal road. 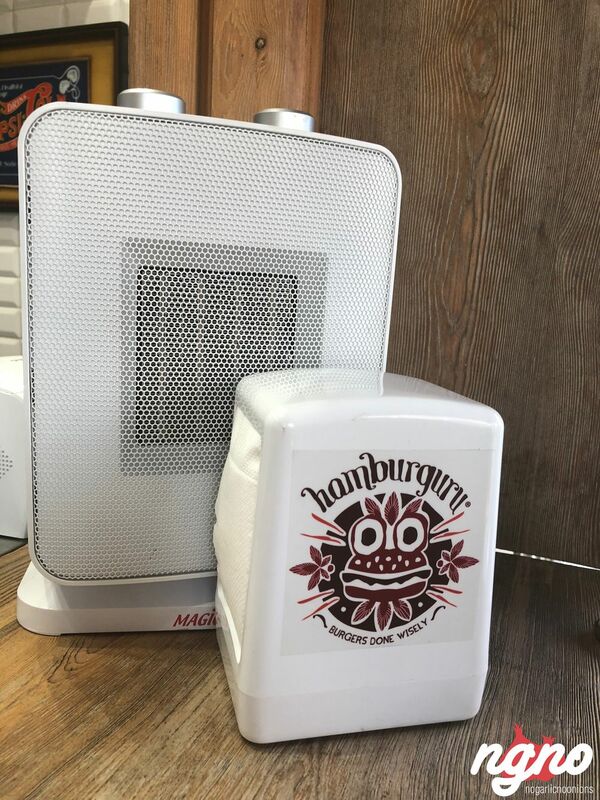 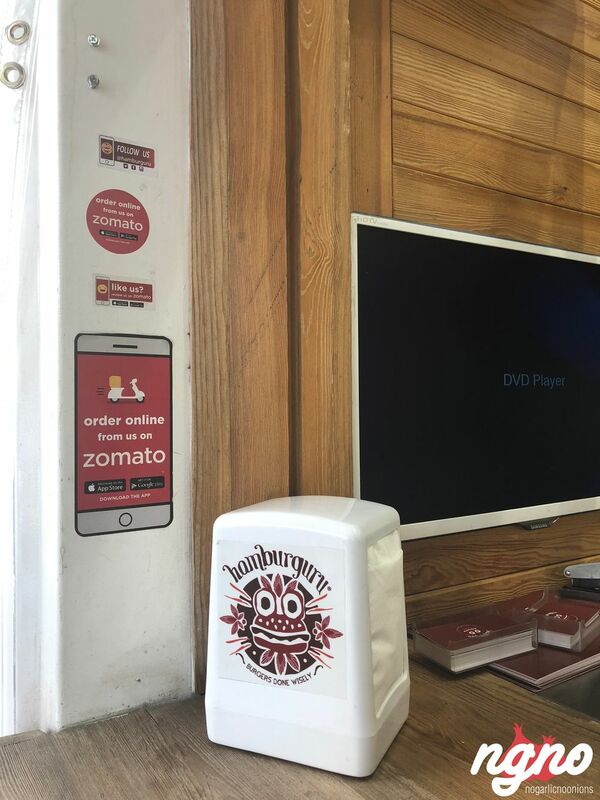 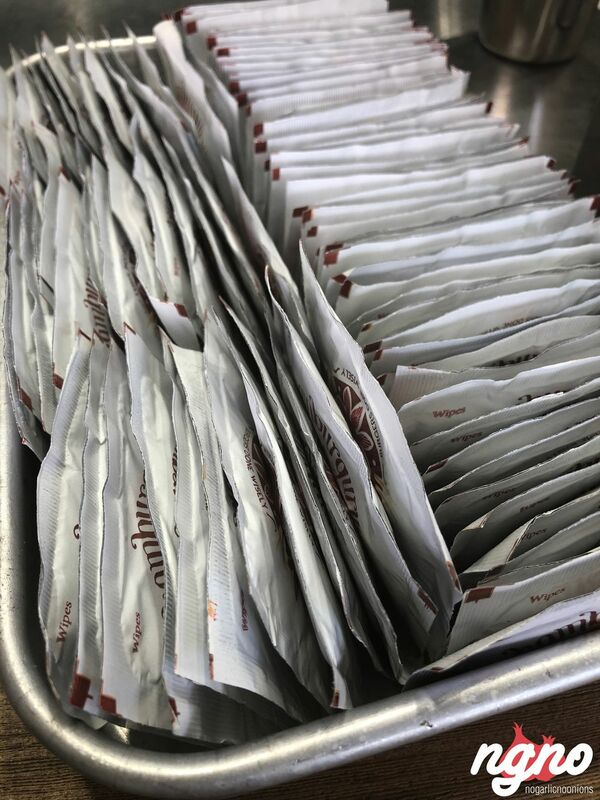 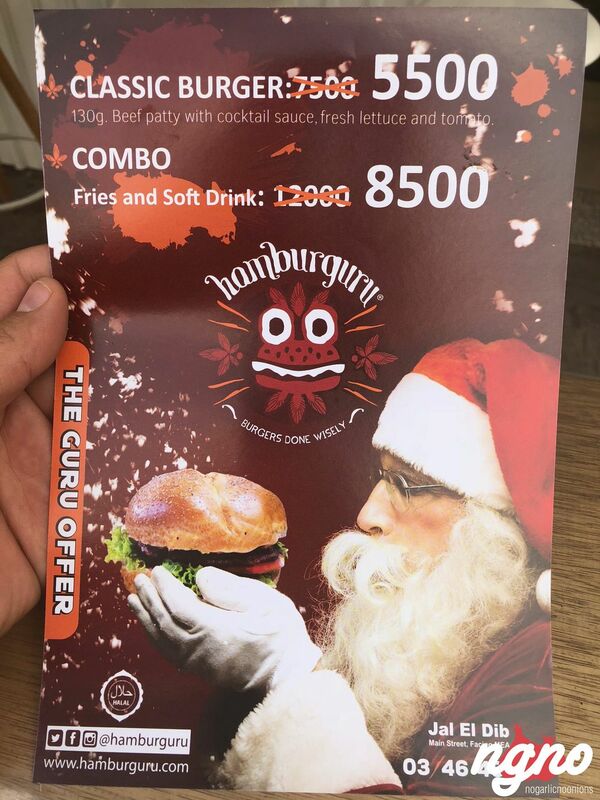 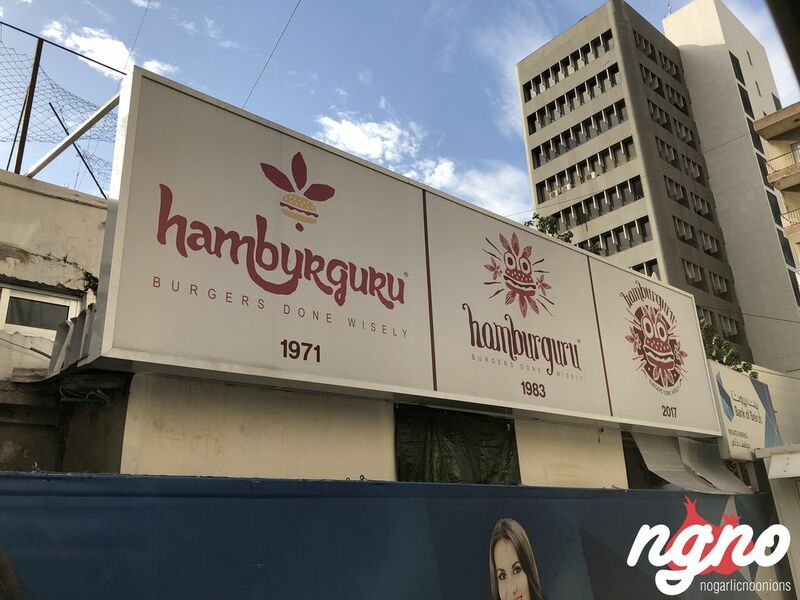 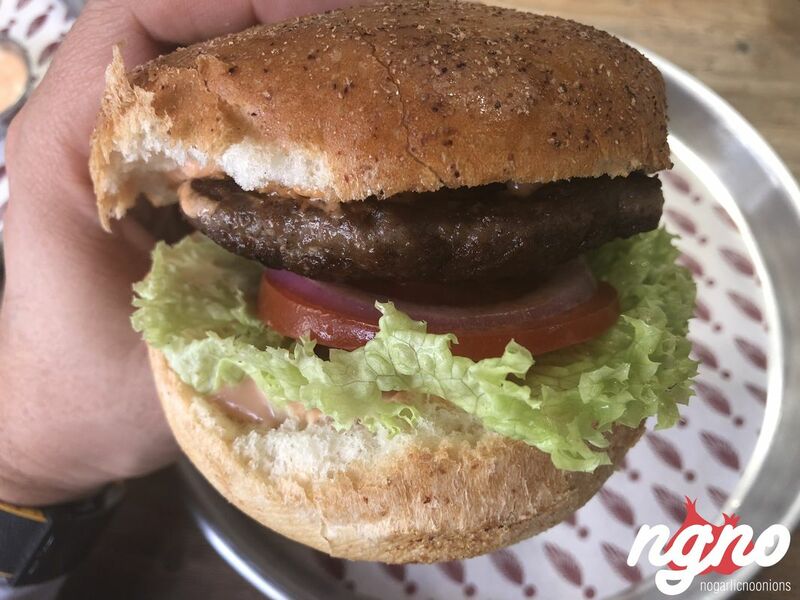 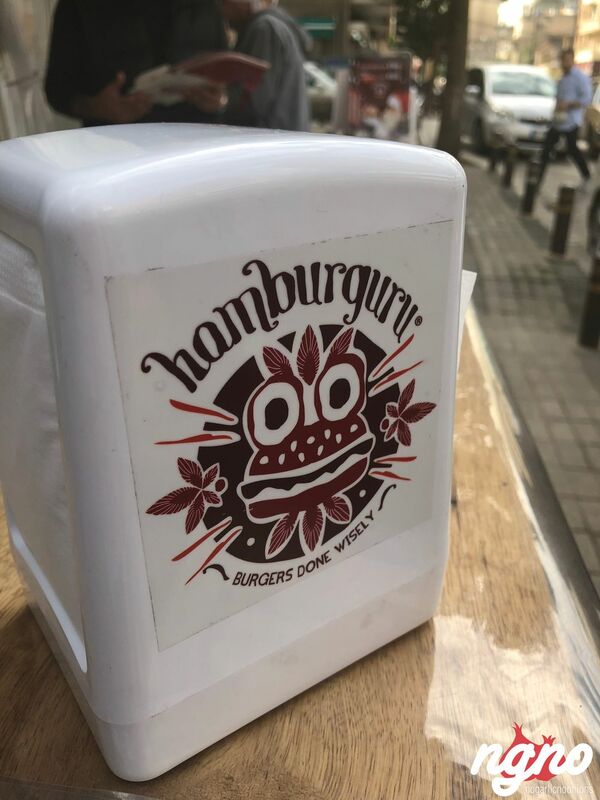 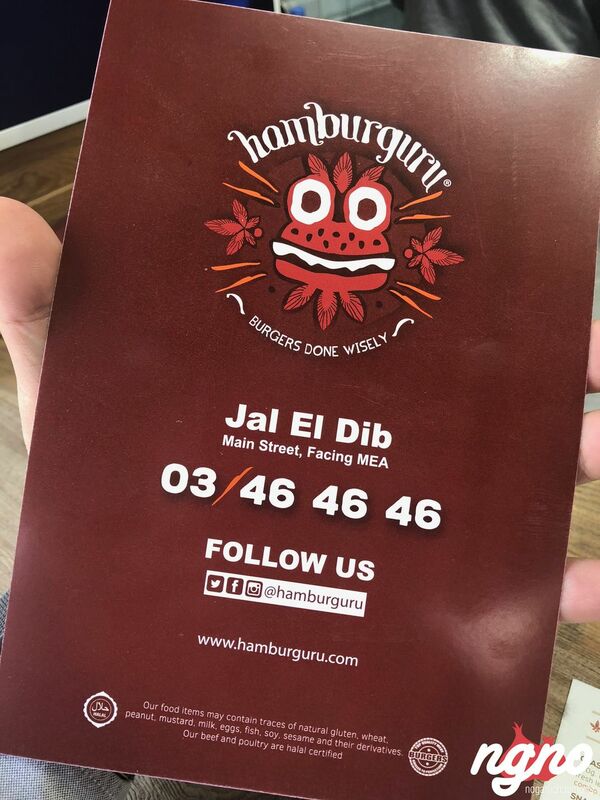 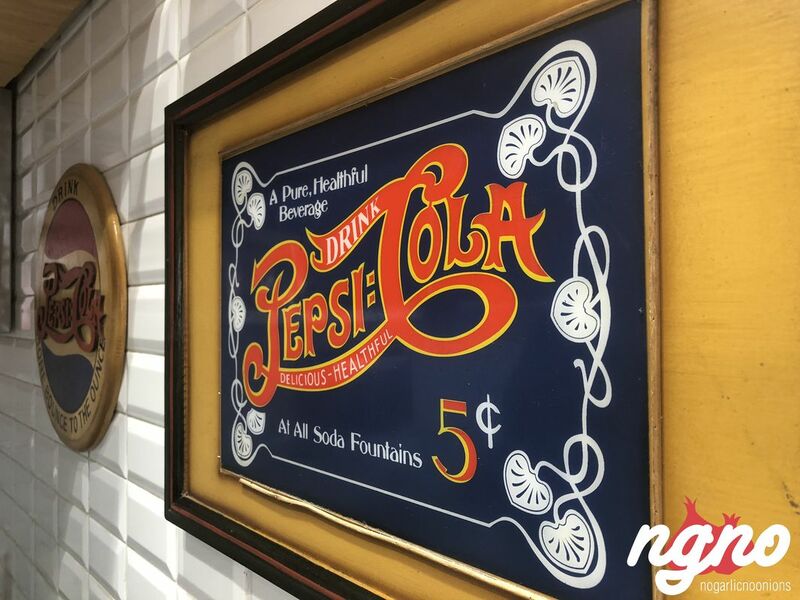 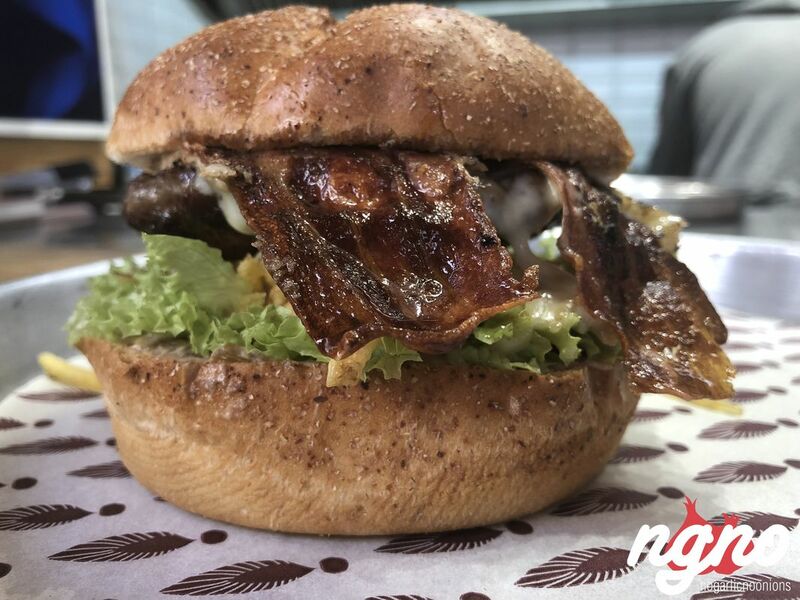 Operated by a smiley owner spreading happiness all around the place, Hamburguru is the address where having a smile on your face is guaranteed! 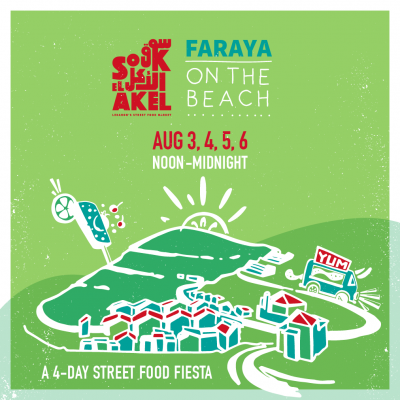 Probably less than nine square meters, street food is what they do in a funky and casual way. 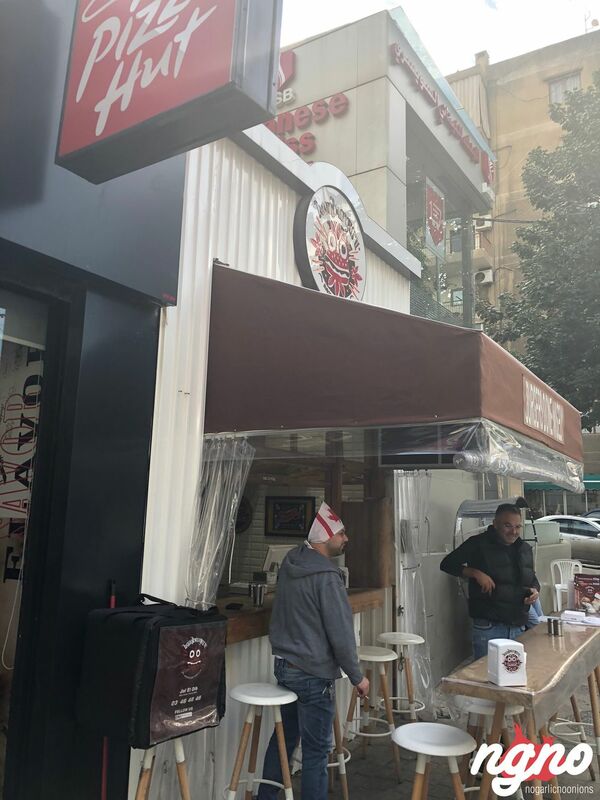 I loved the place, a small street watery located on the side of the road. 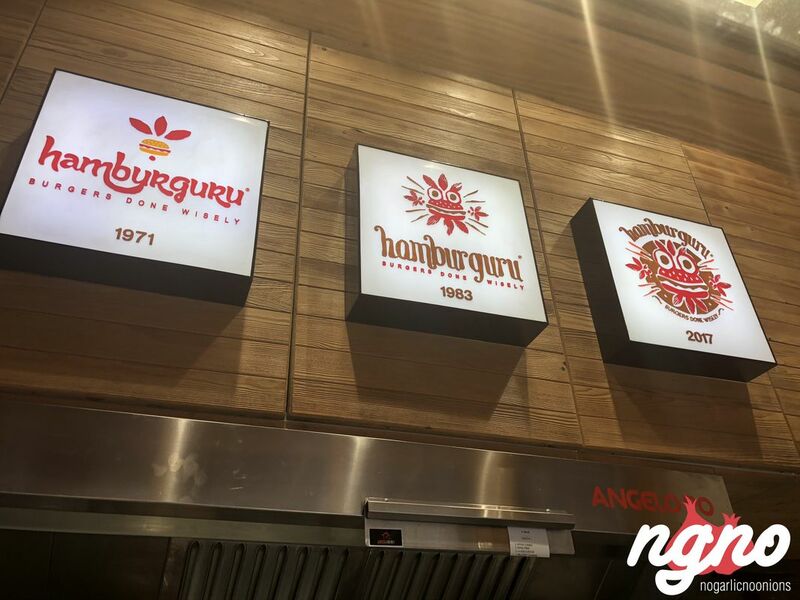 A grill, two seating bars, creating a concept that will give you enough time to interact with the chef. 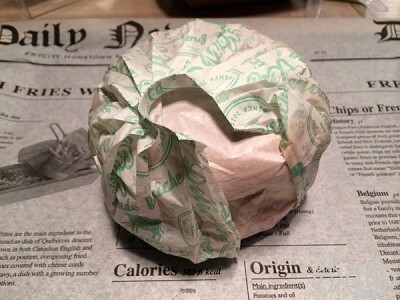 Before tasting, allow me to remove the bread from my review below. 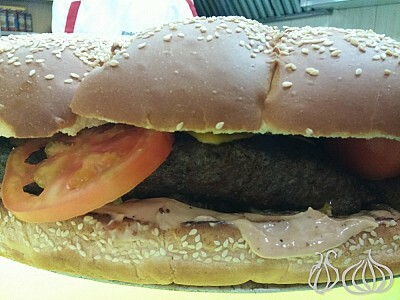 I don’t like it, not its texture, not its hardness, not its chewiness. 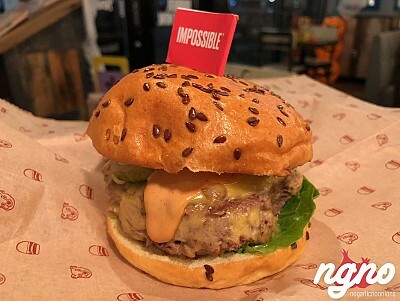 If I have the chance to choose, I’ll change the supplier. 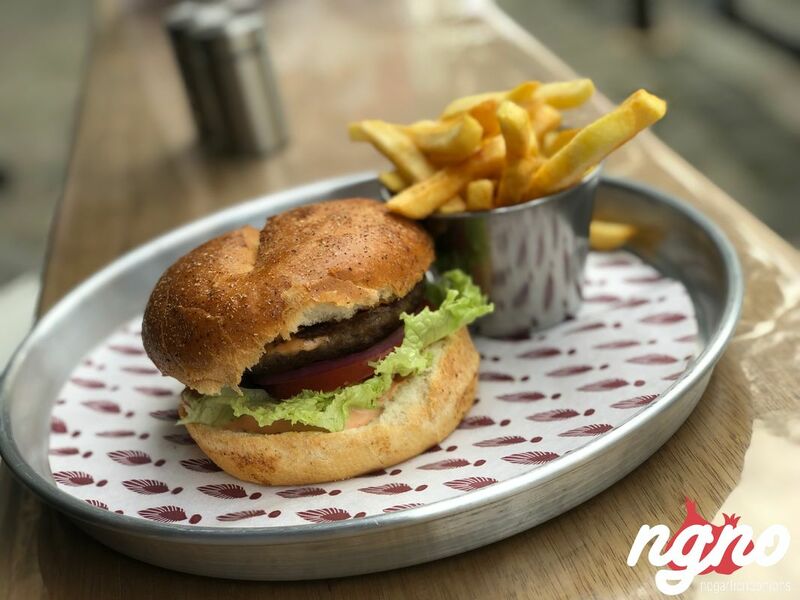 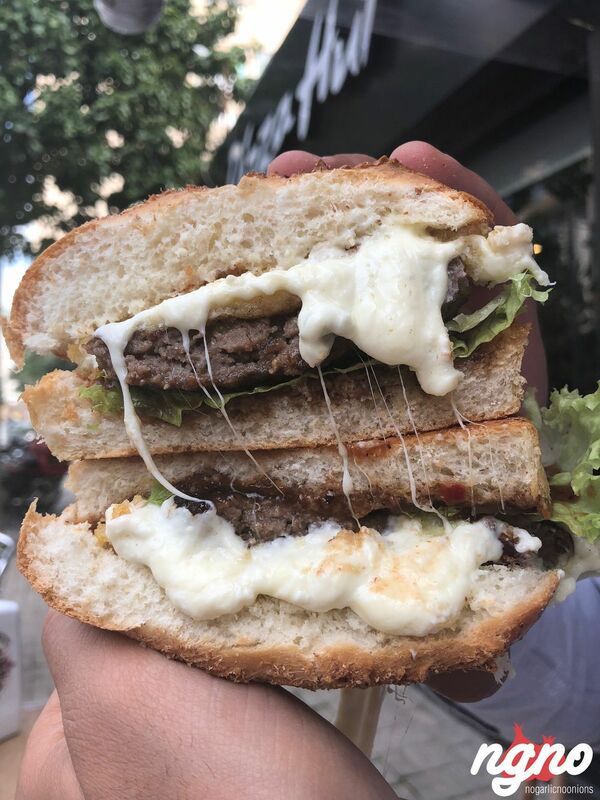 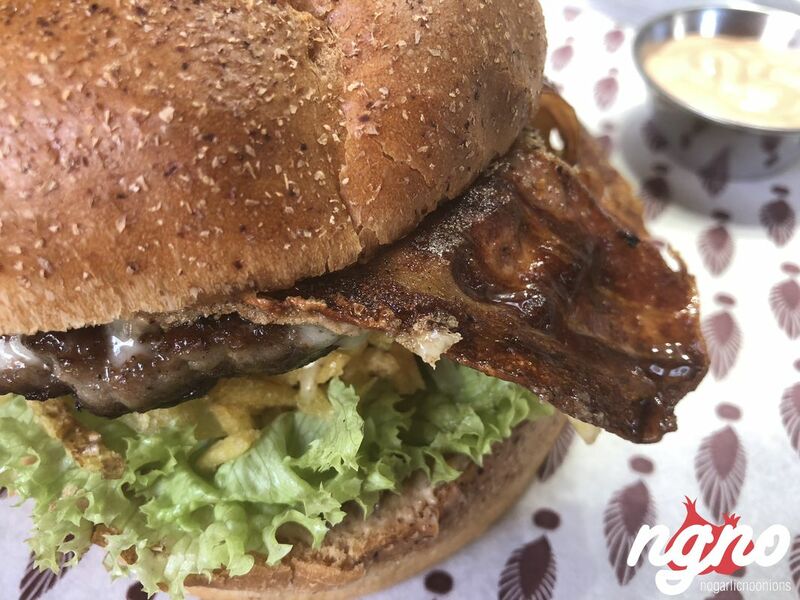 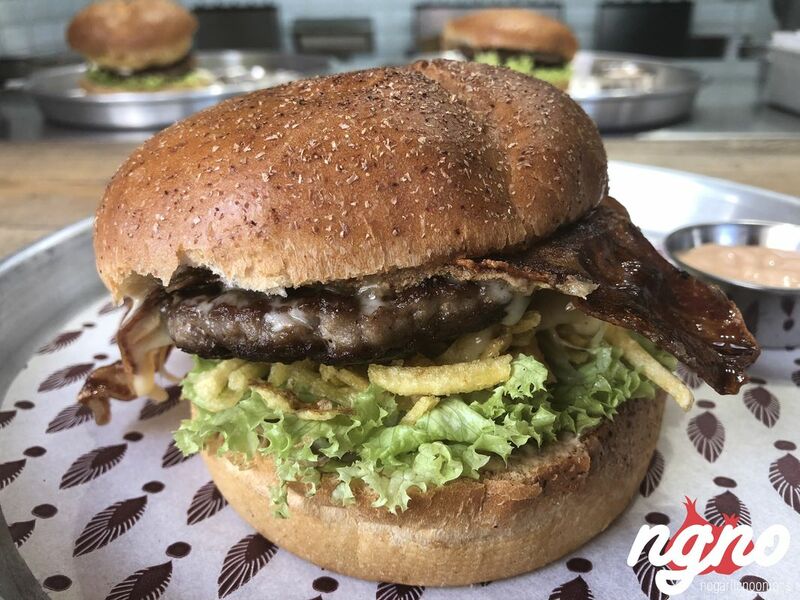 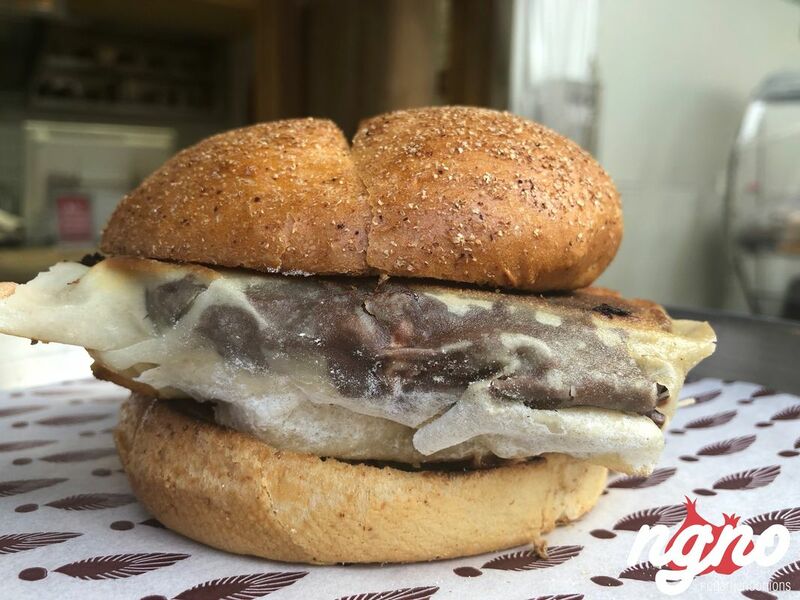 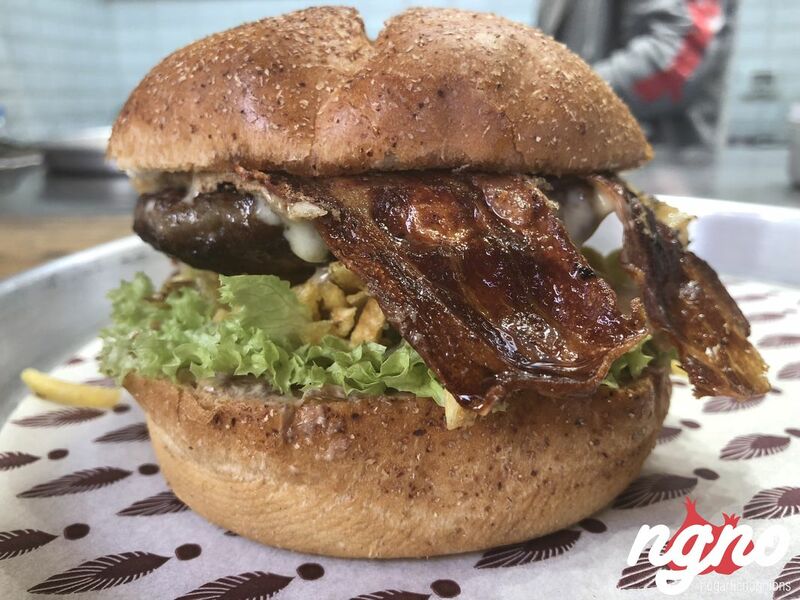 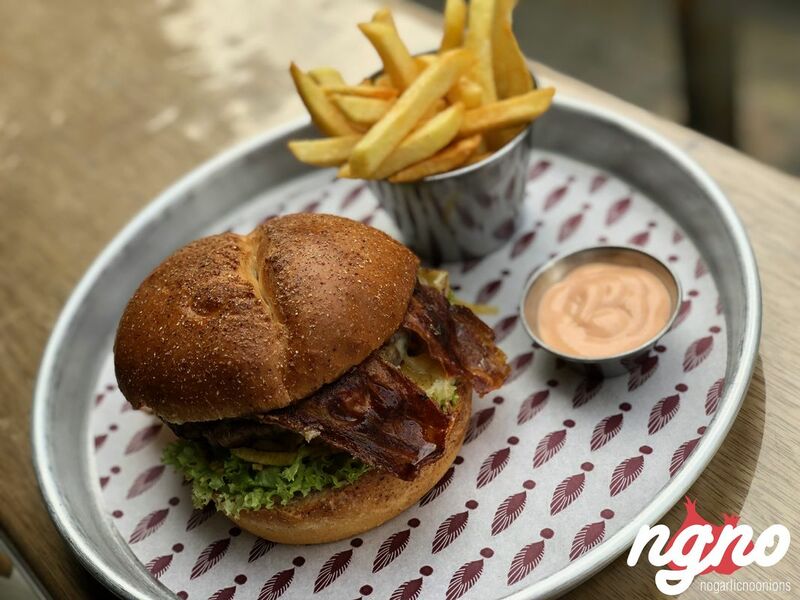 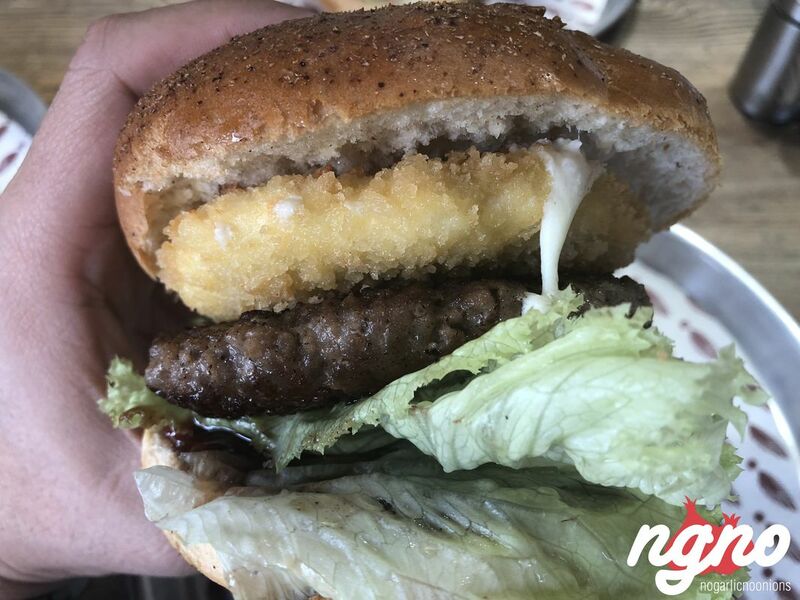 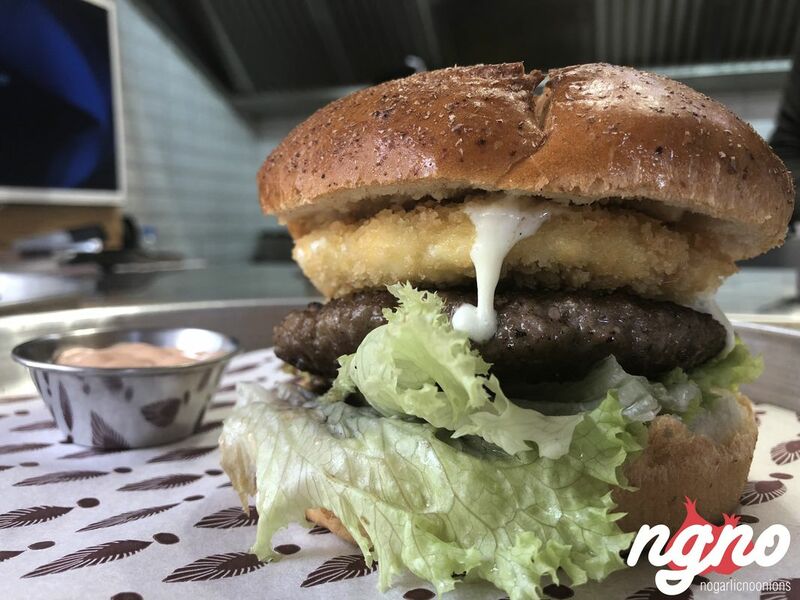 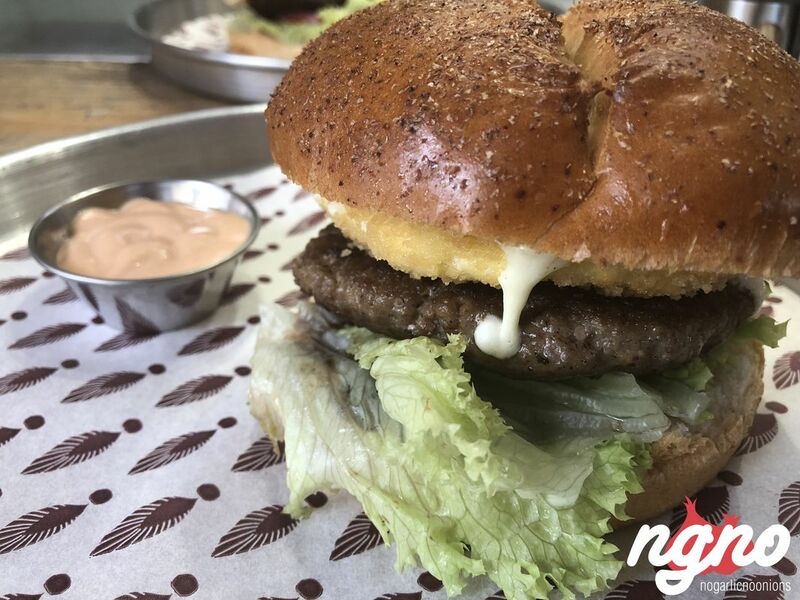 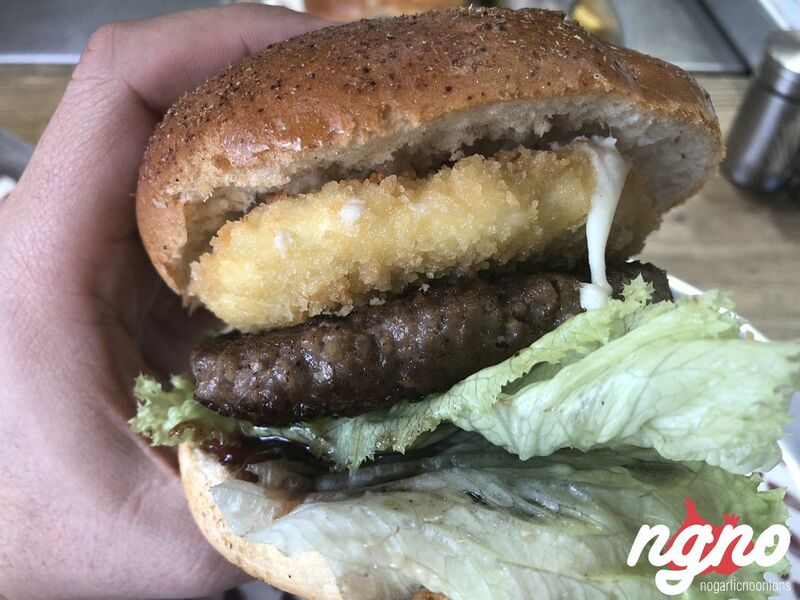 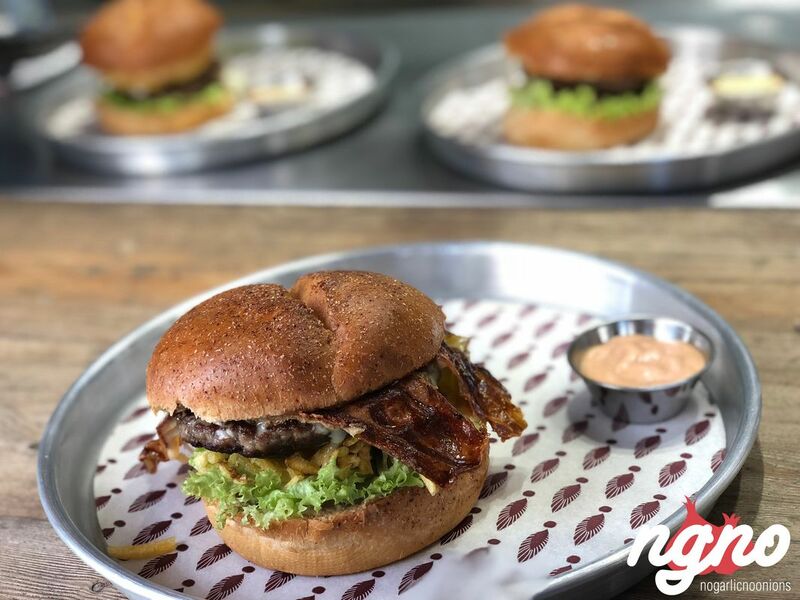 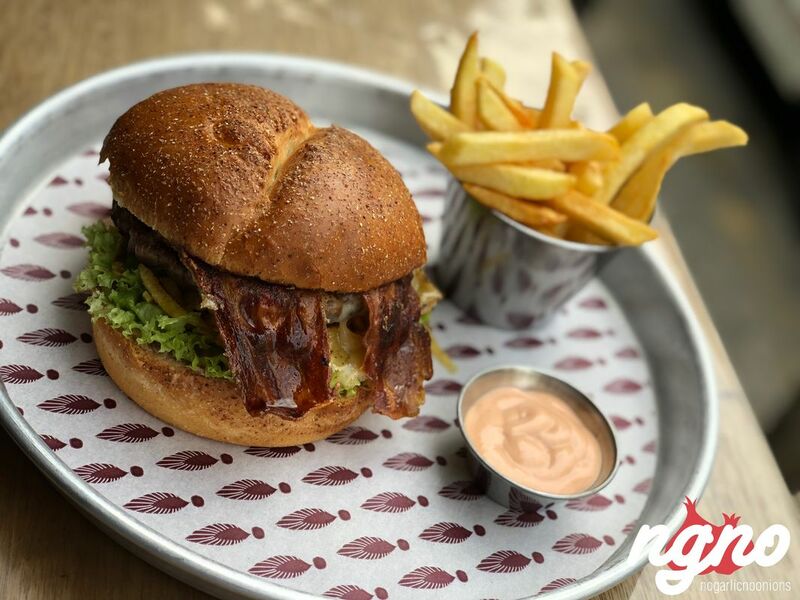 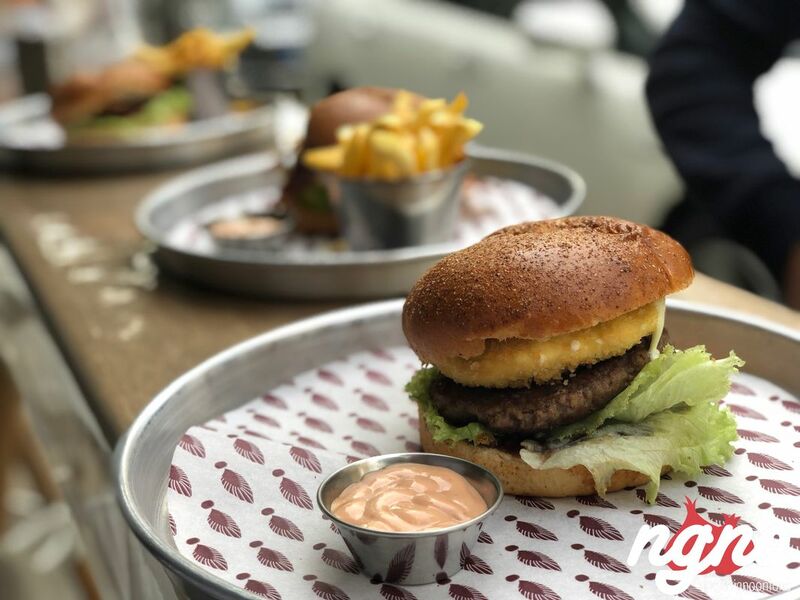 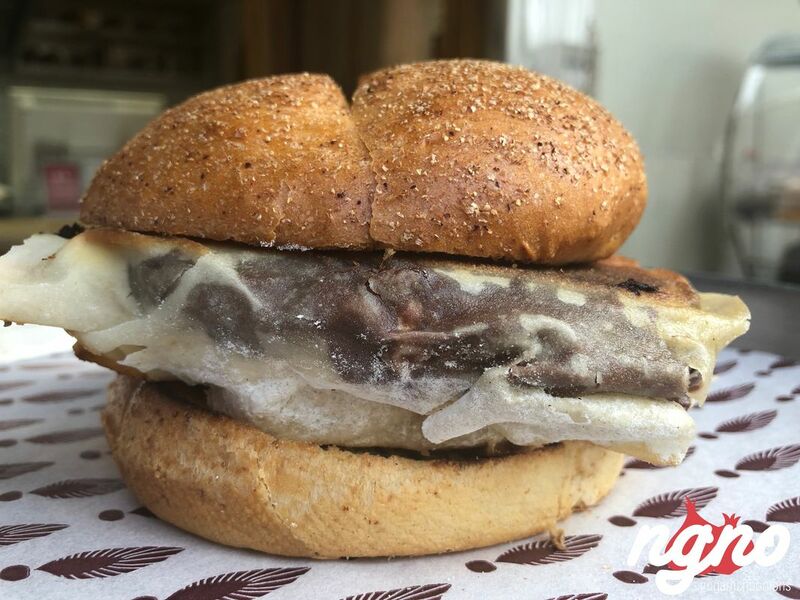 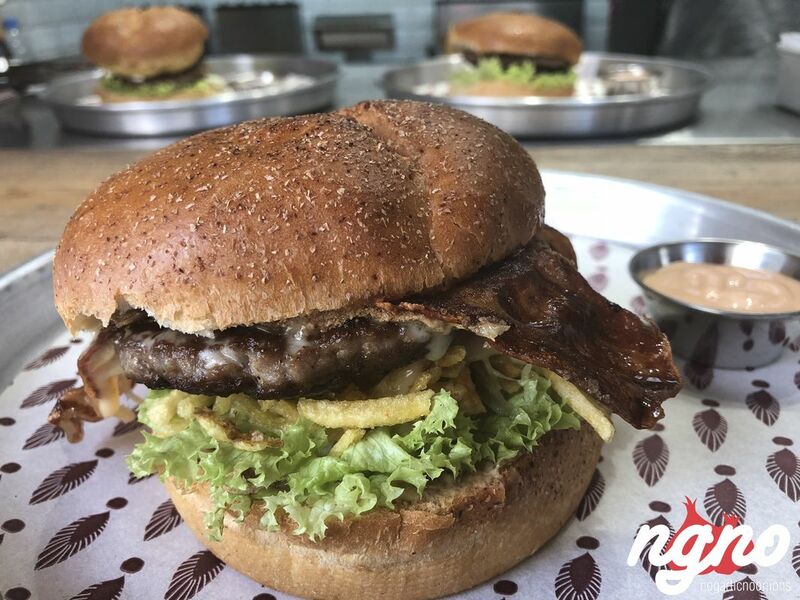 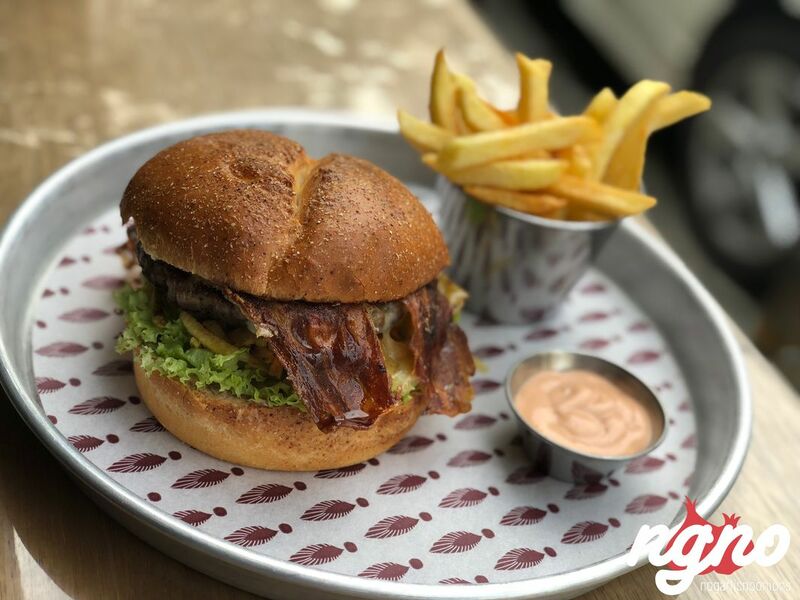 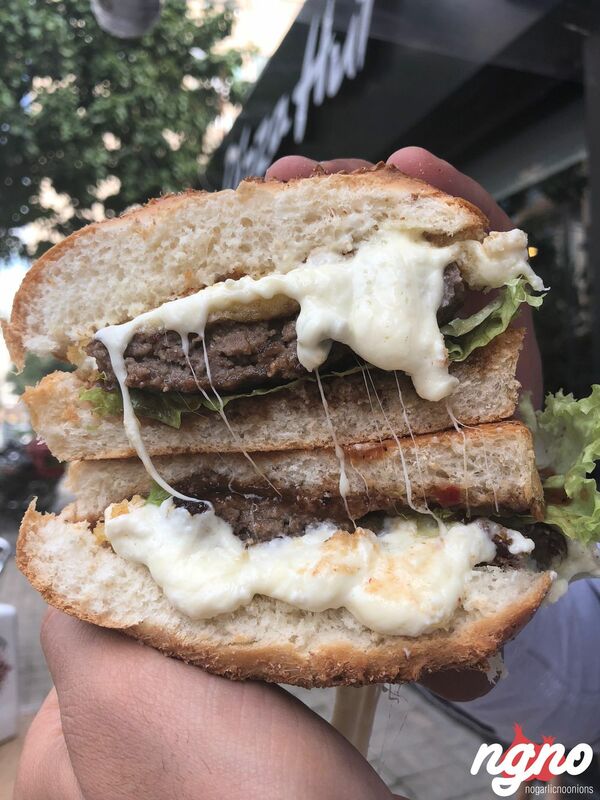 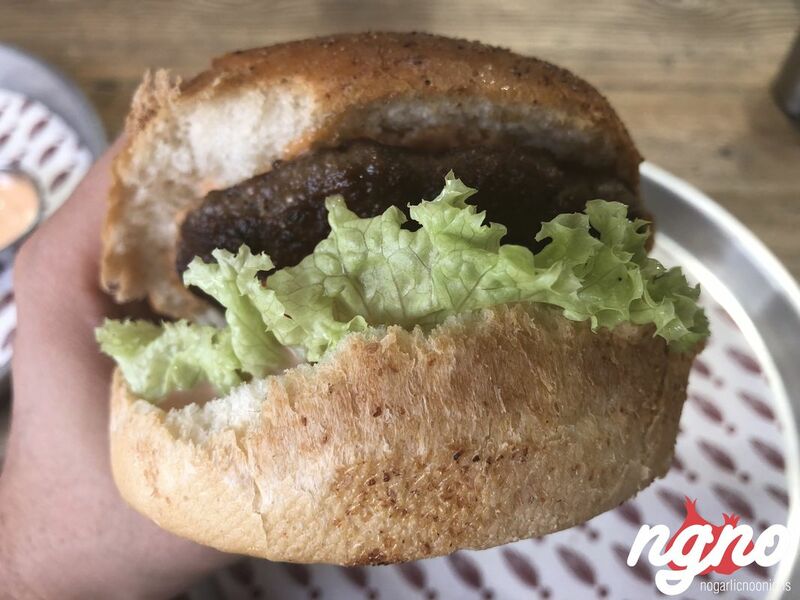 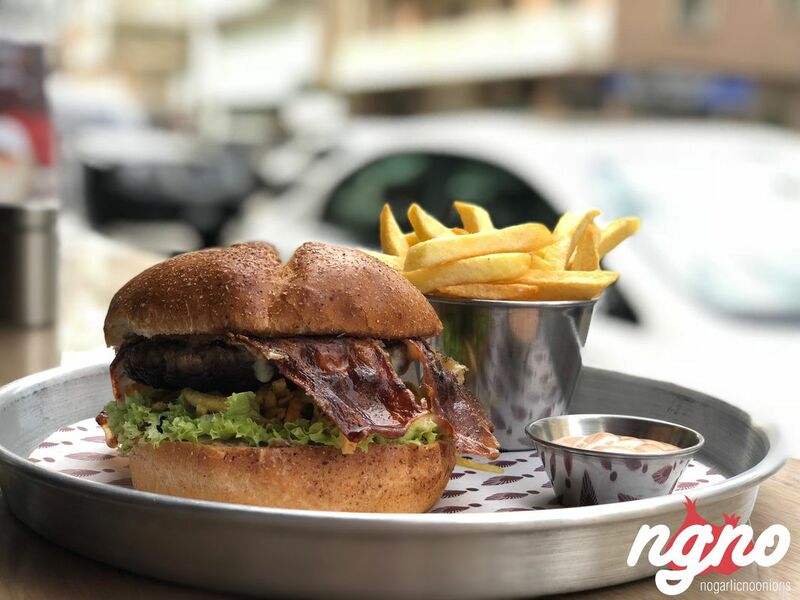 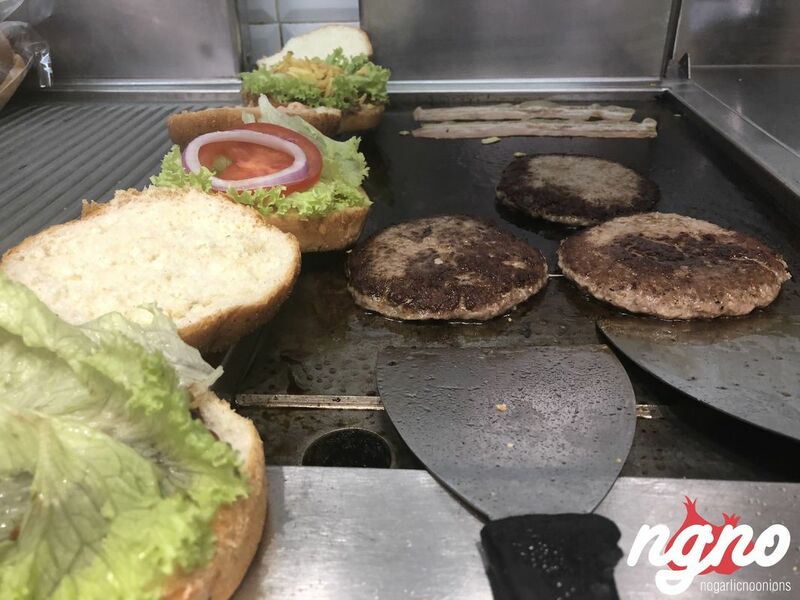 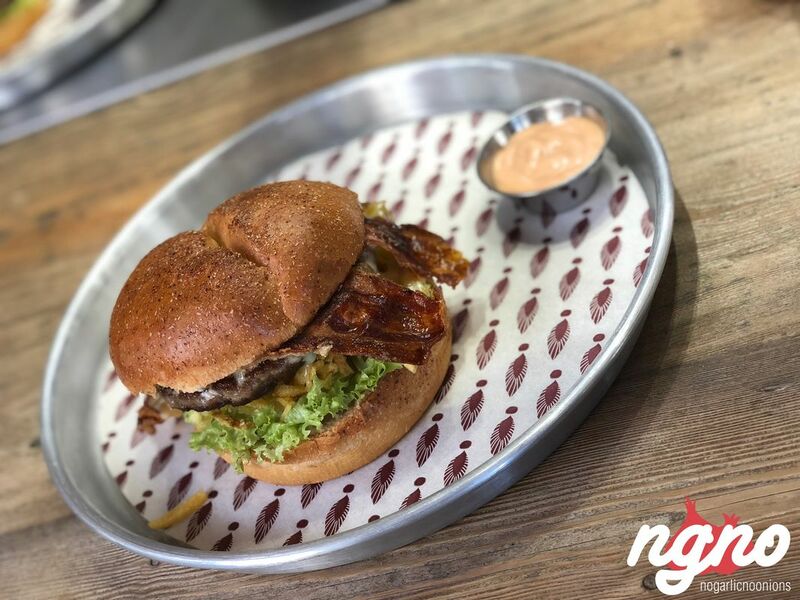 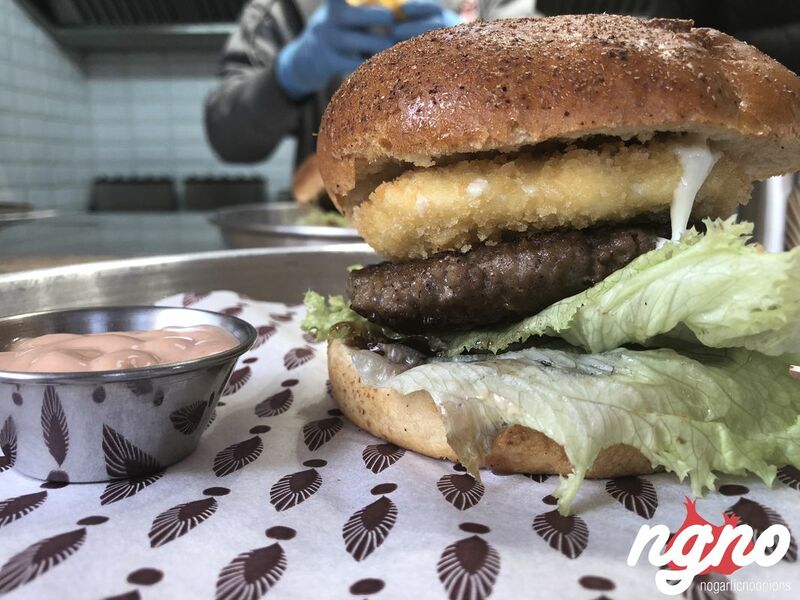 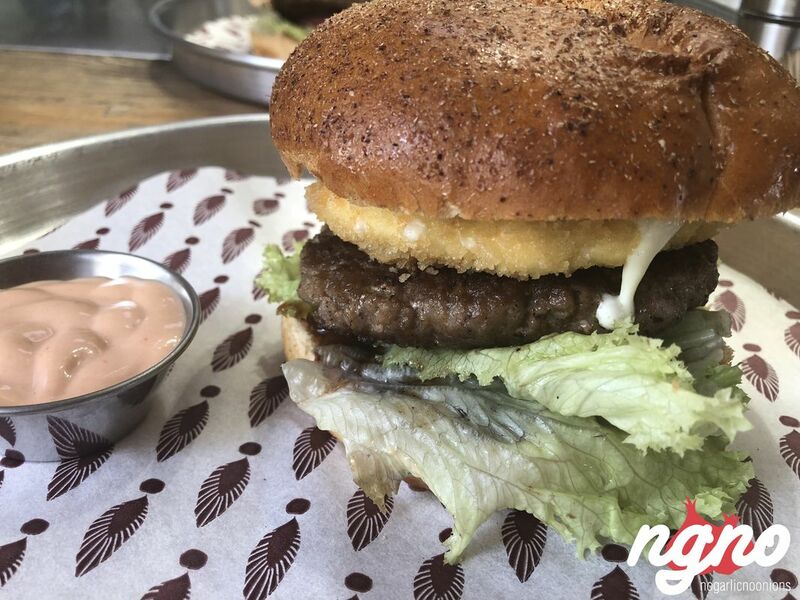 The burgers; Try the raclette cheese, a battered piece of raclette cheese deep-fried to perfection and served on a juicy patty. 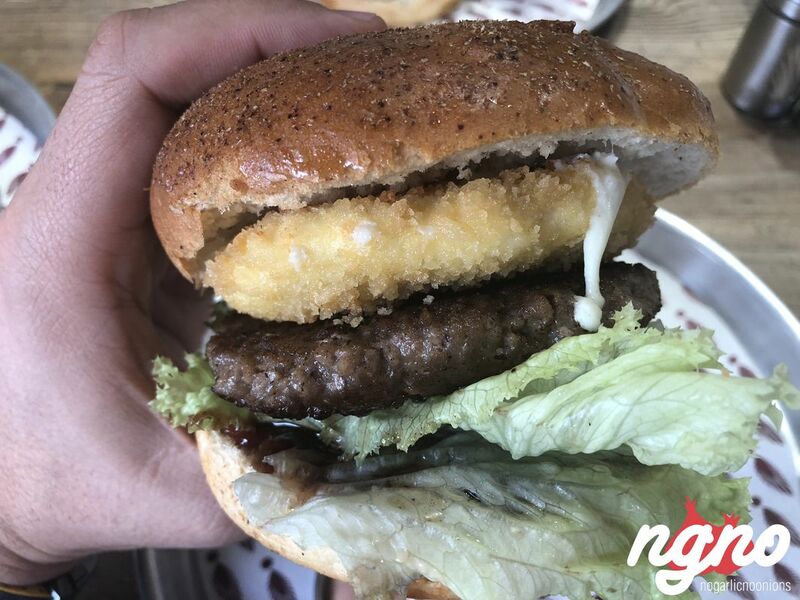 Enjoyed the juiciness, the spices, the flavors and most importantly the love. 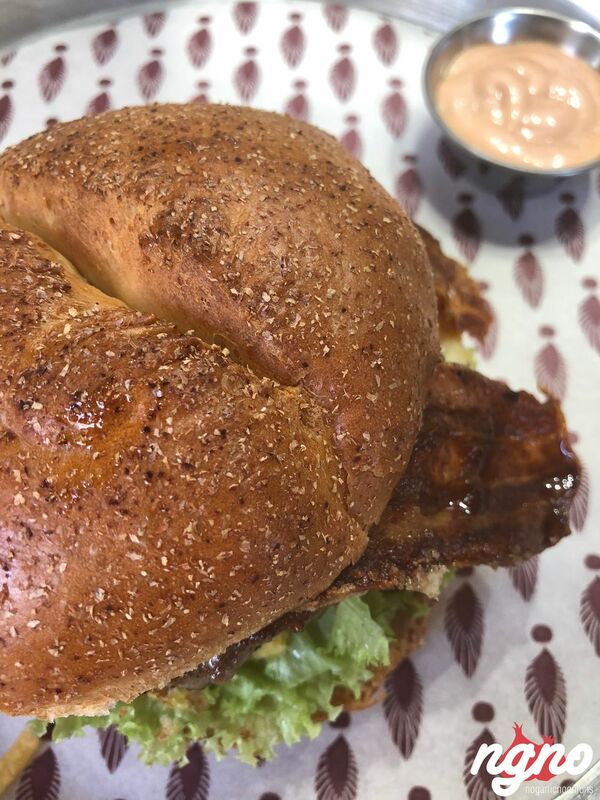 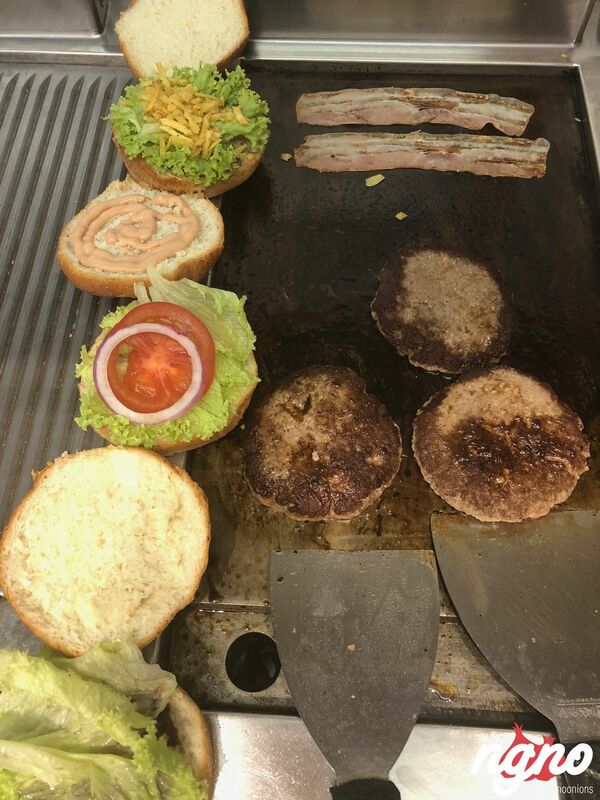 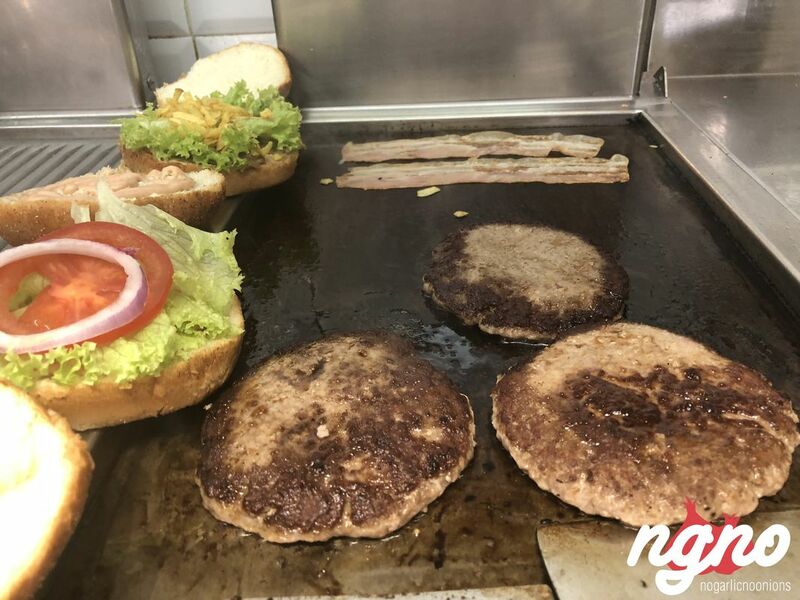 The bacon thinly cut and deeply pan-fried bacon adds a great value to the burgers. 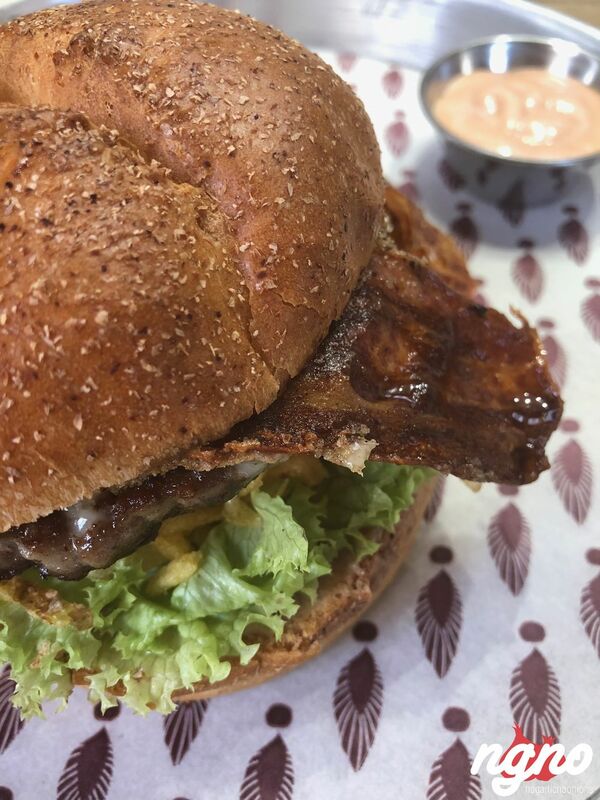 I enjoyed the sauces, the sweetness of ketchup and quality of mayonnaise. 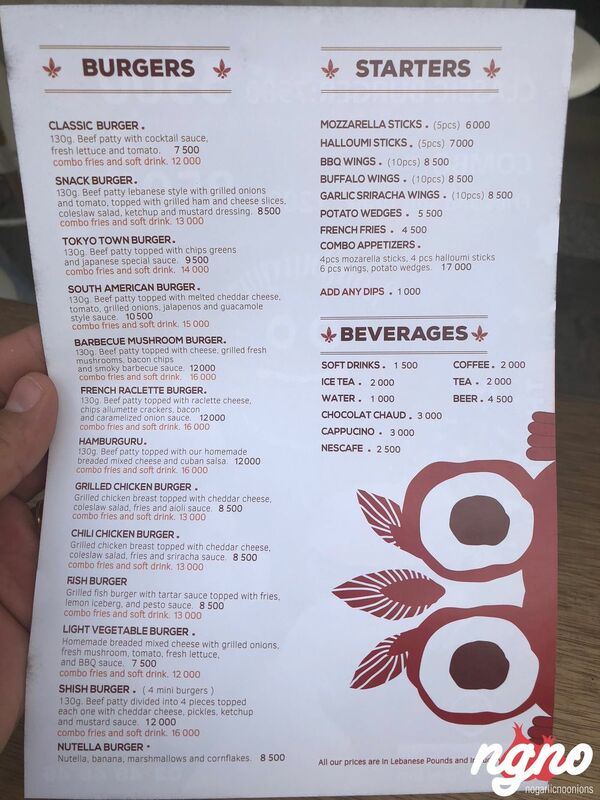 Fries are outstanding! 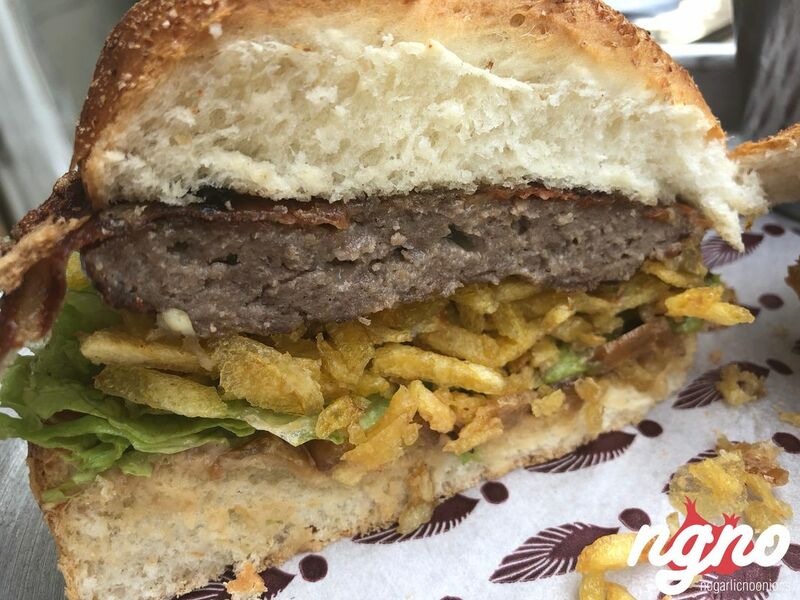 Best of everything I’ve had today are the fries, crispy and airy, very enjoyable and must try. 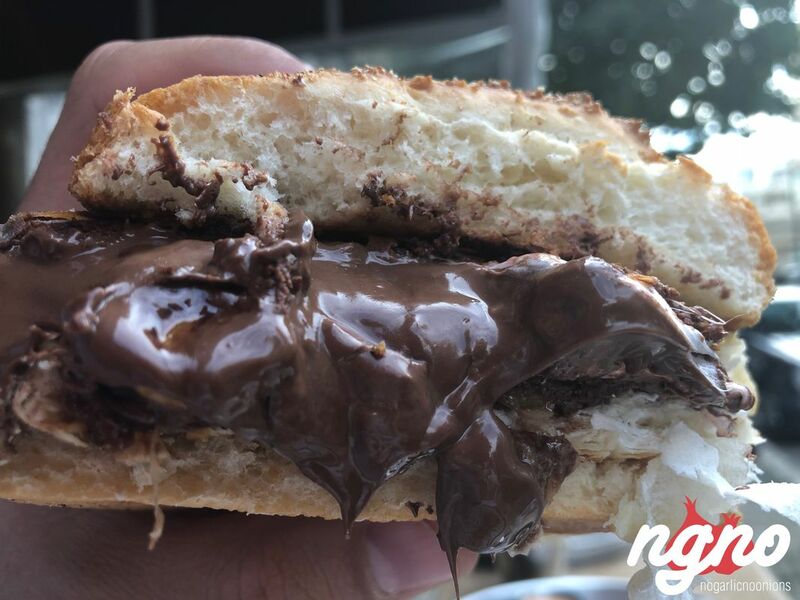 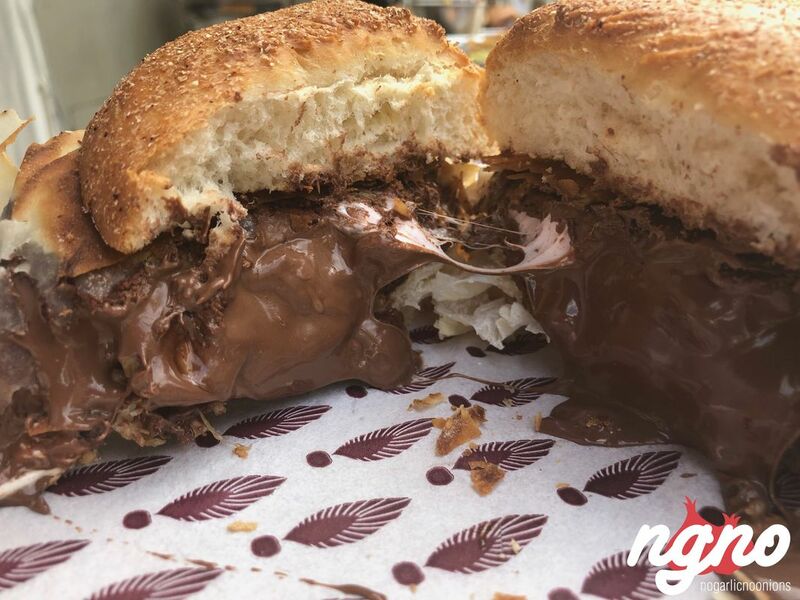 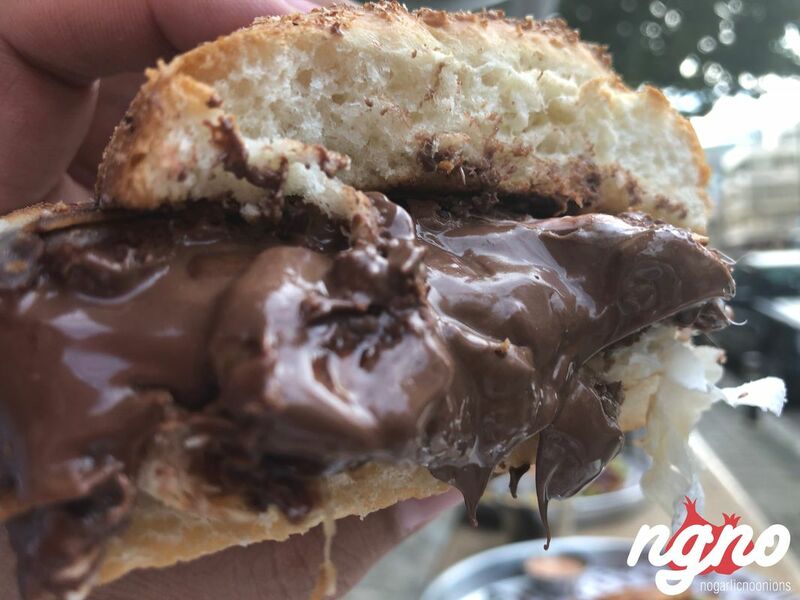 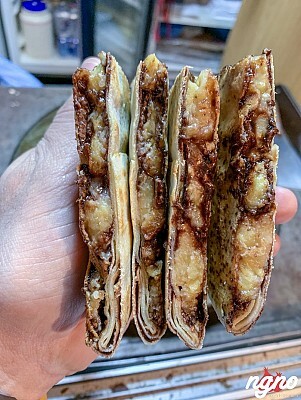 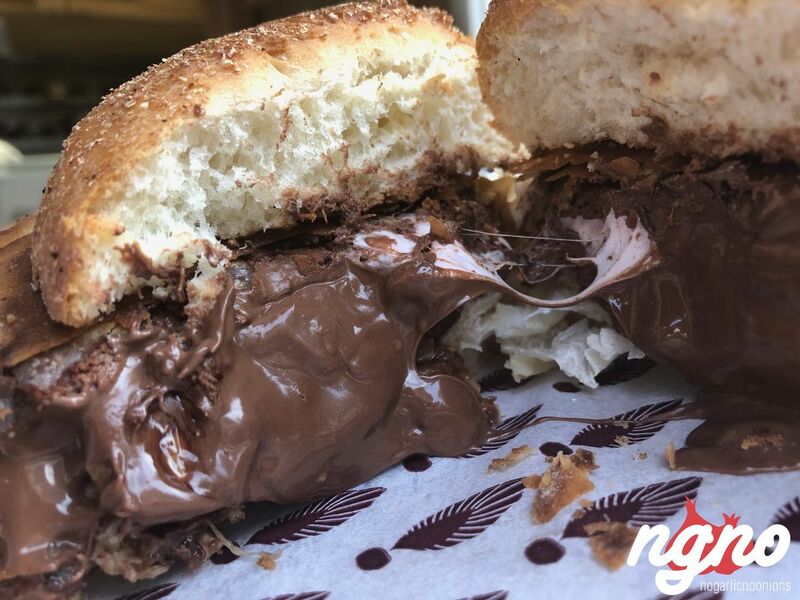 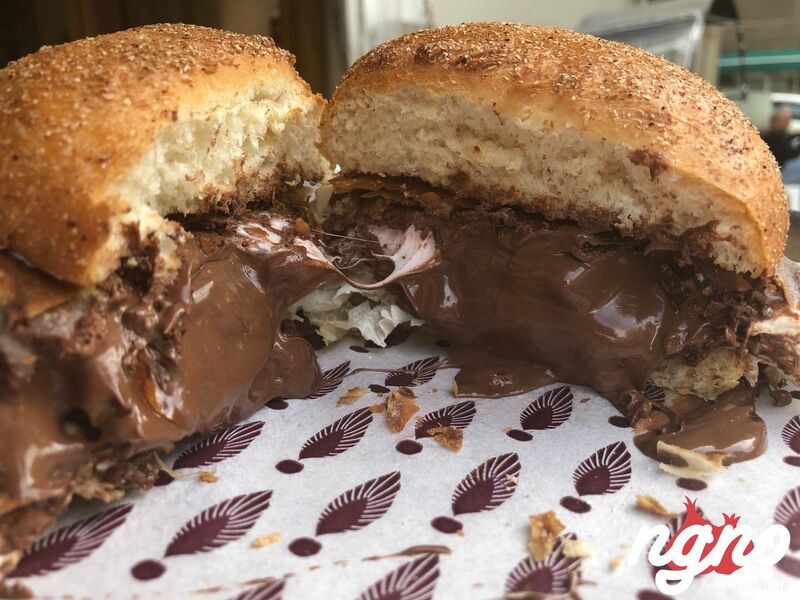 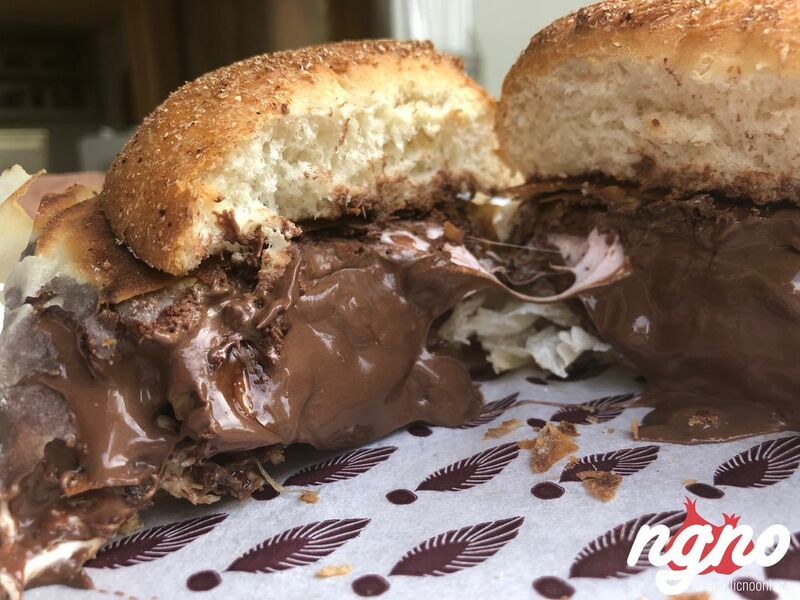 To finish your experience in style, have the Nutella burger; puff pastry stuffed with Nutella, slices of bananas and melted marshmallows. 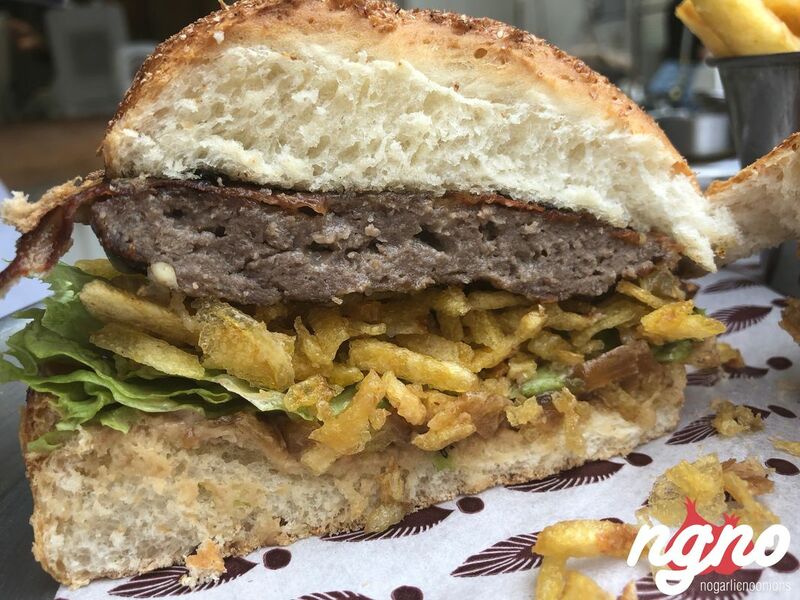 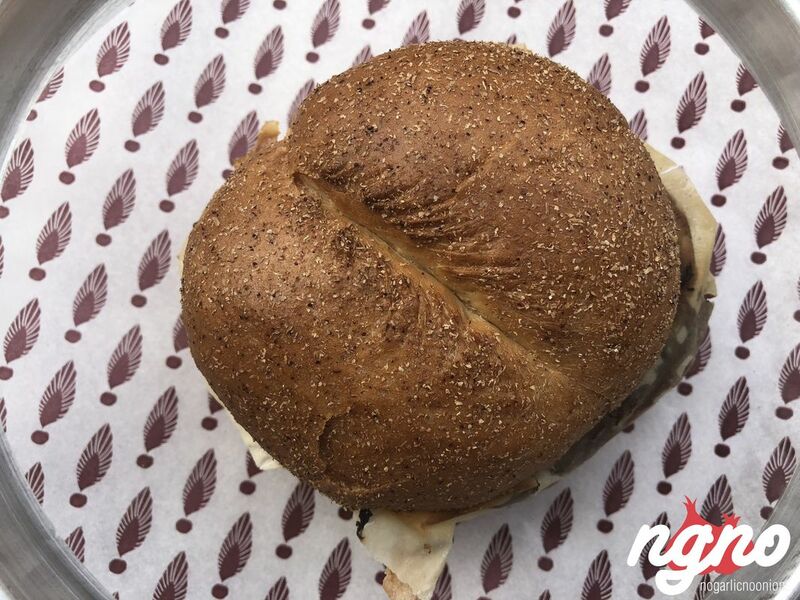 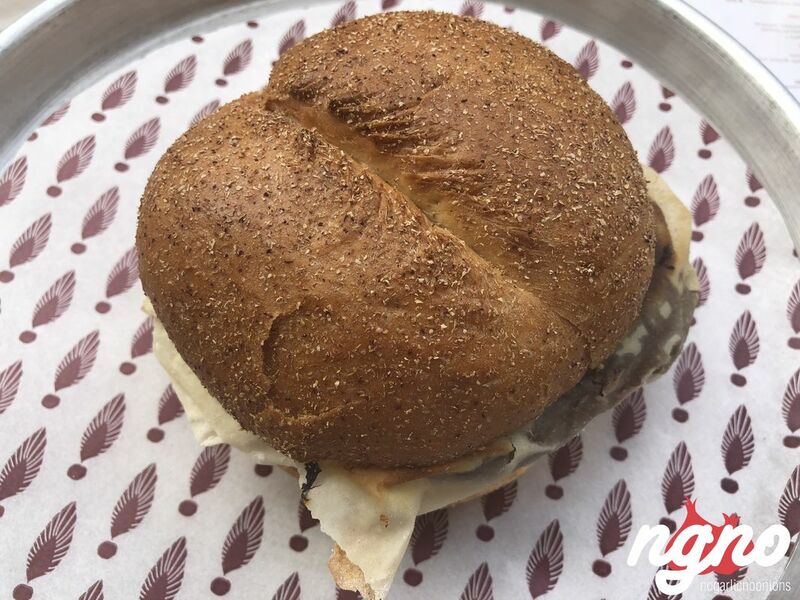 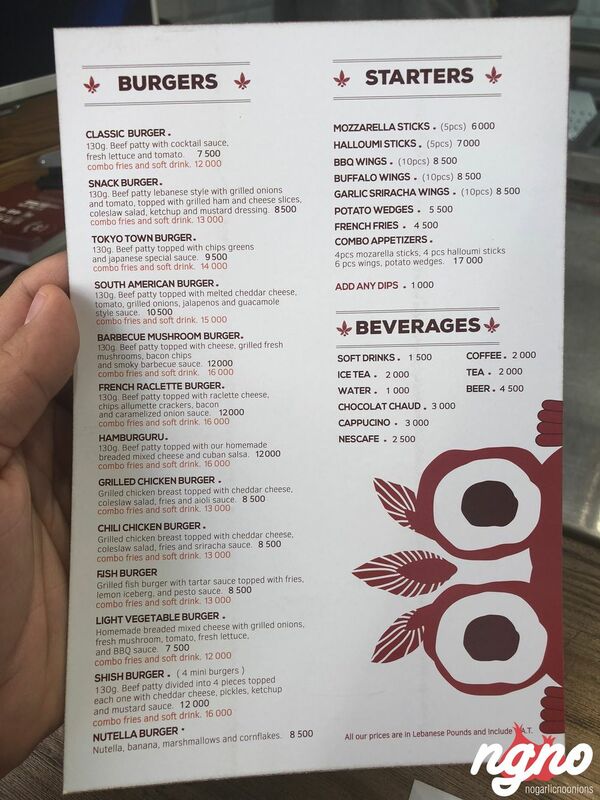 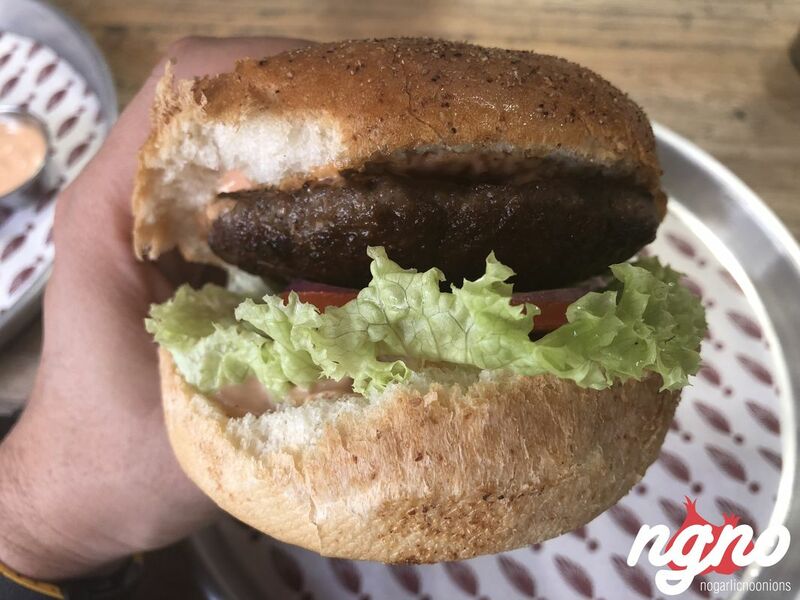 They serve it in a bun but I recommend if you try it without bread: a lovely creation, mouth-watering, rich in content and flavors, textures and ingredients without the buns. 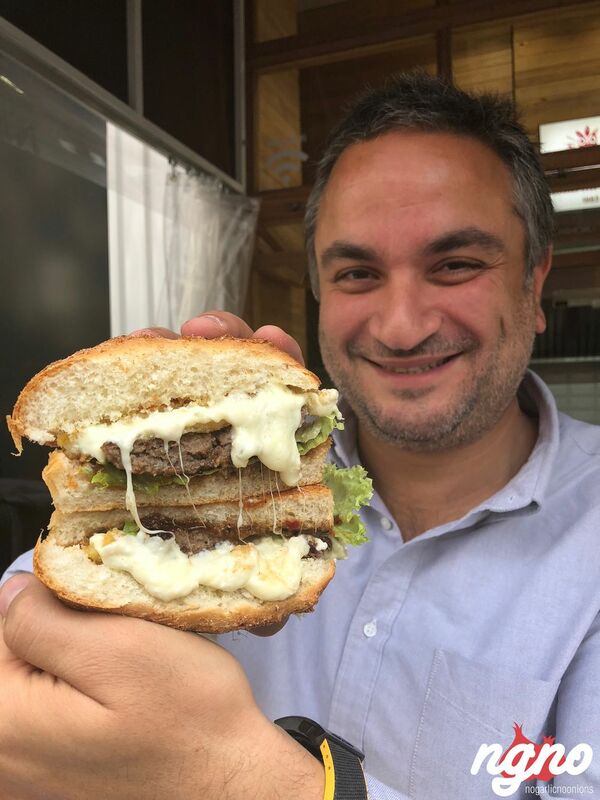 I’ll come here meet Selim again, the owner is so passionate about his work; Hamburguru is planning on expanding to Beirut and Jounieh soon, stay tuned to their next moves. 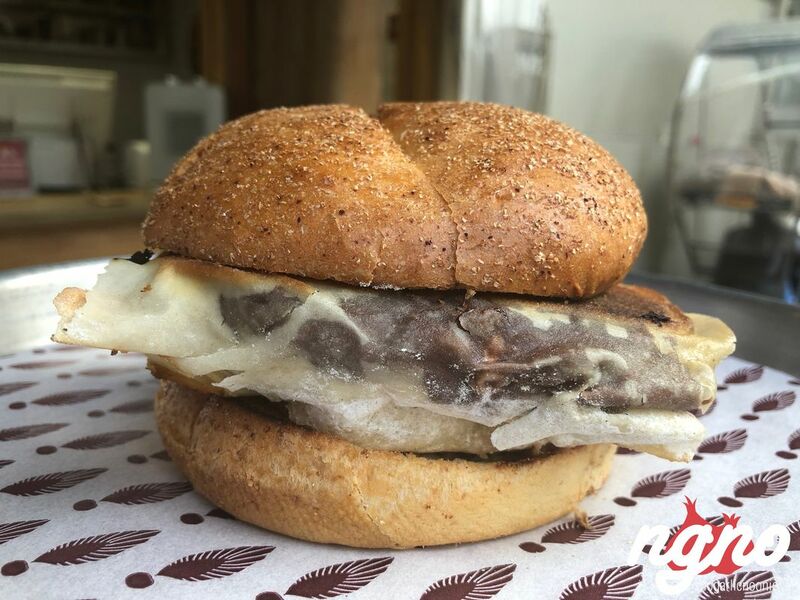 231 East St: France's New Approach to Burgers... And it's Good!